[Ogden?] 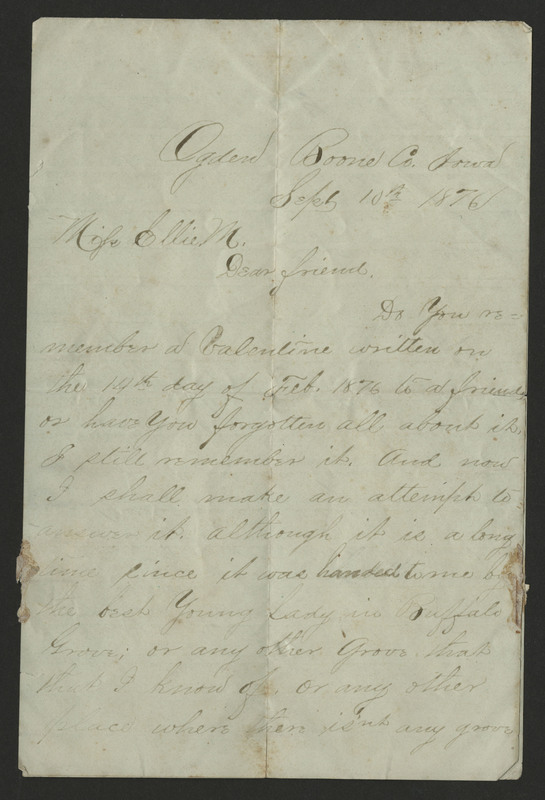 Boone CO. Iowa Sept. 10th 1876 Miss Ellie M. Dear friend Do you remember a Valentine written on the 14th day of Feb. 1876 to a friend or have you forgotten all about it. I still remember it. And now I shall make an attempt to answer it although it is a long time since it was handed to me by the best Young Lady in Buffalo Grove; or any other Grove that I know of, or any other place where there isn't any grove.